Jeffrey Lichtman has been a criminal defense attorney for over 27 years, practicing primarily in the federal and state courts of New York. Beyond New York, New Jersey and Connecticut, Mr. Lichtman handles federal cases, appeals and investigations throughout the country. His clients include those charged with white collar and non-white collar offenses, such as RICO violations, narcotics offenses, money laundering, securities fraud, health care fraud, tax evasion and murder and murder conspiracy. Many of his cases and clients are internationally known and have been featured prominently in the media. A 1990 graduate of Duke University School of Law, Mr. Lichtman opened his own law firm in 1999 and since then has had extraordinary success on some of the country's largest stages. His clients have included John A. Gotti, the son of the infamous mob boss. The Gotti trial ended with the dismissal of three murder conspiracy charges, an acquittal on a $25 million securities fraud charge and a deadlocked jury on every remaining count. The media described the verdict as an "unbelievable courtroom upset" and Mr. Lichtman's work as "brilliant." His cross-examinations of the government's witnesses were described in the media as a "relentless pounding" in which witnesses were "put through the blender" and "shredded." 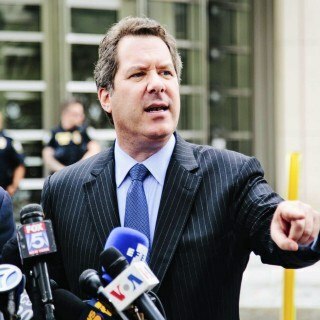 In sum, Mr. Lichtman's high-profile clients don't just make the news – they win their cases. Mr. Lichtman's appellate practice has also had great success. In September of 2010, he won the freedom for a client who had been convicted and sentenced to 27 years in prison for multiple counts of sexual assault of four alleged victims. After his appeal to the New Jersey Appellate Division forced the trial court to grant a hearing on trial counsel's possible ineffectiveness, Mr. Lichtman's scathing examination of trial counsel was halted by the judge – who indicated she was prepared to vacate the conviction on the spot -- never to return to prison again. After the Bo Zhang sentencing.